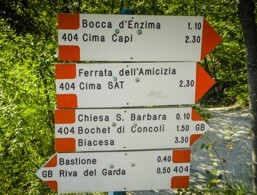 Via Ferratas at Lake Garda. Discover Lake Garda! Do you enjoy spending your holiday rock climbing? 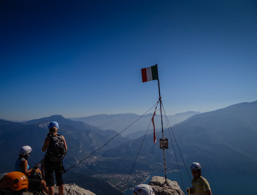 If you look for height and a challenge, you're in good hands in the mountains around Lake Garda. 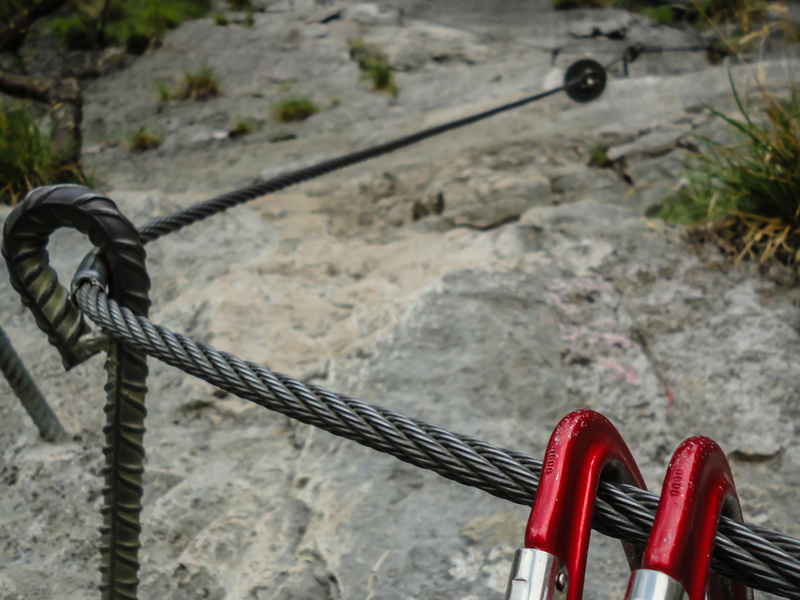 Whether climbing for sport or climbing Via Ferratas: the possibilities here are almost unlimited. 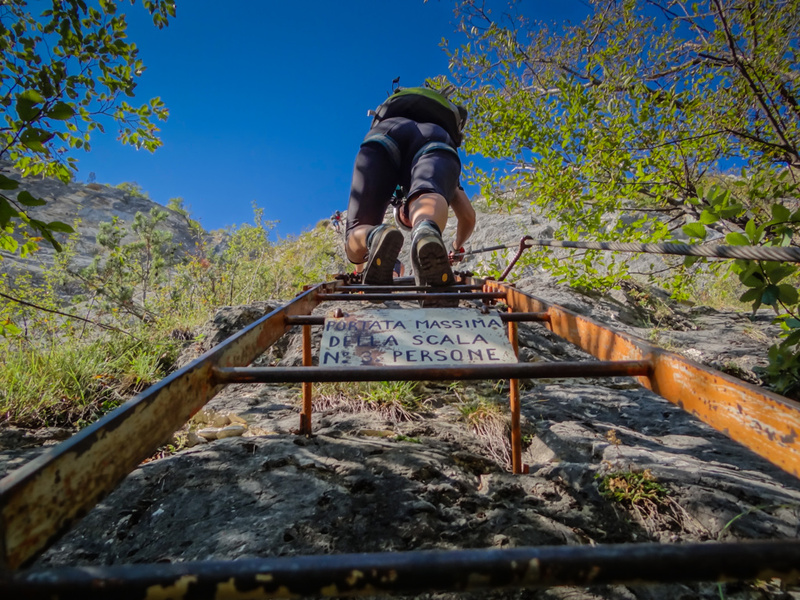 There are many interesting alpine climbing routes around Lake Garda. Some tours are not secured with wire rope and may not have as many standard security options as sport climbing routes in the climbing garden. They usually go over several inclines, are quite demanding and require top rope and safety technique. For alpine climbing, only experienced climbers and mountaineers should dare. Wearing a helmet is mandatory. 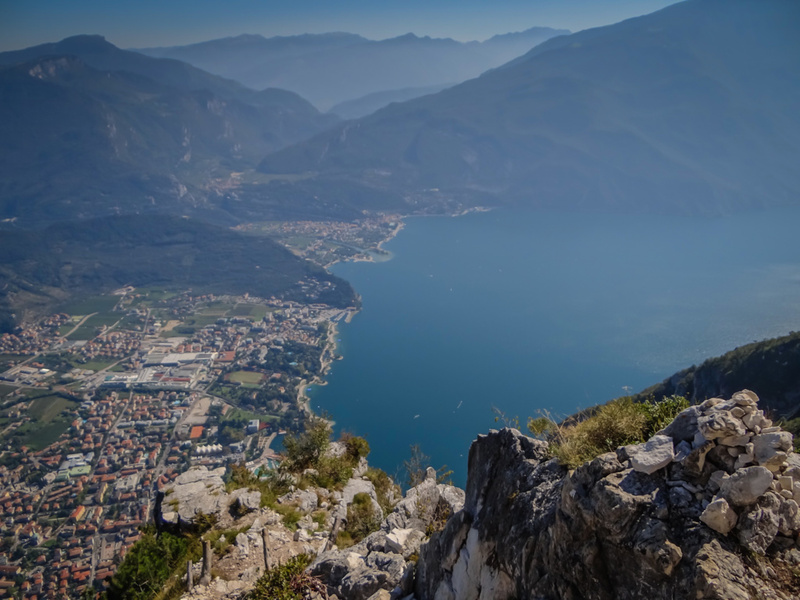 A large number of alpine climbs around Lake Garda are around Arco in the Sarca Valley. 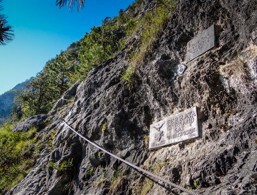 The best known are Parete San Paolo Sud, Parete San Paolo Nord, Coste Dell'Anglone, Cima alle Coste Sud, Brento Alto, Parete di Padaro and Pian della Paia. The above routes are relatively well secured, with resting platforms in place. All characterised by steep rock, which can also be very brittle. In some parts, tree bands are also used to secure these multi-pitch routes. For good sports climbers, the tours are perhaps a bit too easy, but due to their height, they can still make an impression. 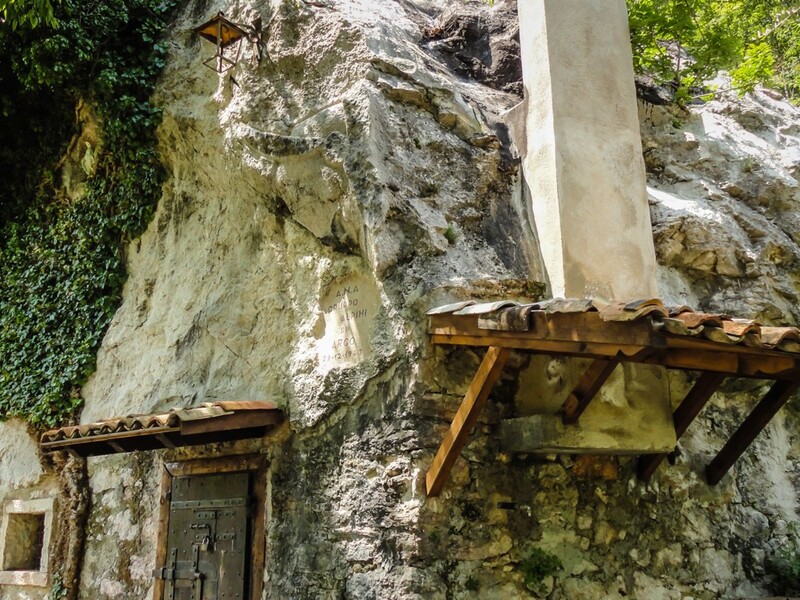 There are Via Ferratas in the Dolomites, created in the First World War to bring the troops to the positions in the mountains. 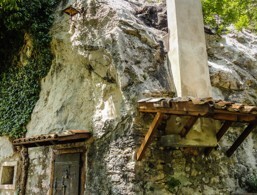 Later, the climbing aids, mostly in the form of steel cables, treads and ladders, were used to make difficult passages accessible to inexperienced mountaineers. 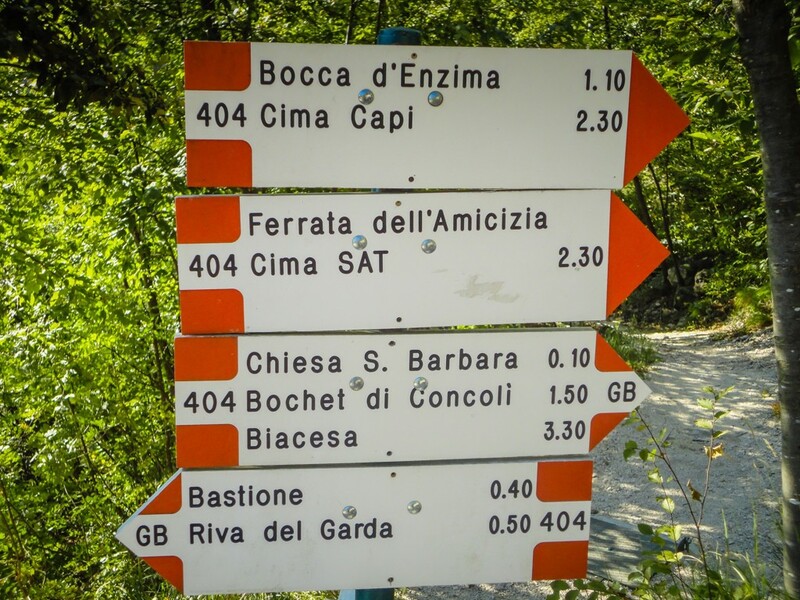 In the meantime, climbing the Via Ferratas has become established as an independent alpine discipline. 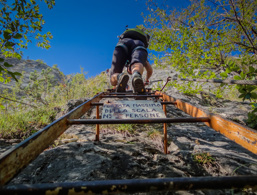 Via Ferratas around Lake Garda have always served purely alpine purposes and are a genuine delight for steady climbers with suitable equipment. 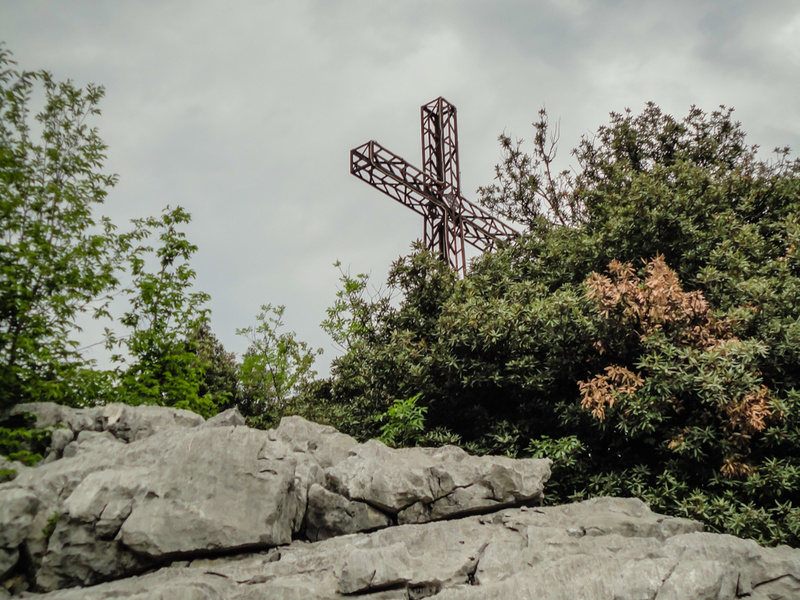 The most famous climbing routes such as the Colodri or the Via Ferrata dell'Amicizia will reward you with interesting climbing passages and a magnificent panoramic view of Lake Garda. The routes have very different difficulty levels. While some are ideal for beginners and families, others are challenging even for climbers with experience. 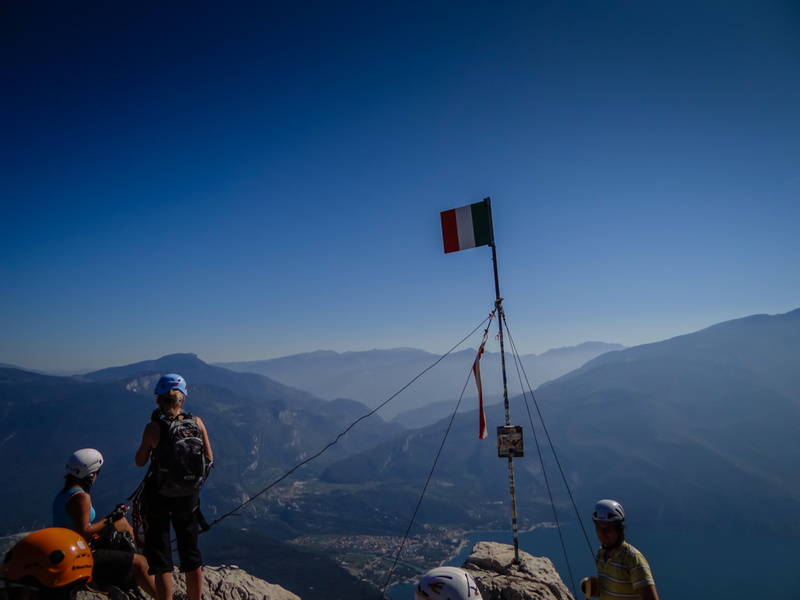 As long as you consider the experience and condition of the group and have the right equipment when choosing the route, there shouldn't be anything in the way of a successful climbing trip at Lake Garda! 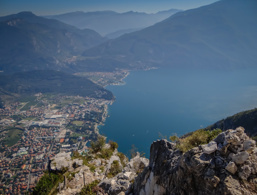 Here we have a small selection of the most important and well-known climbing routes around Lake Garda to give you a taste. 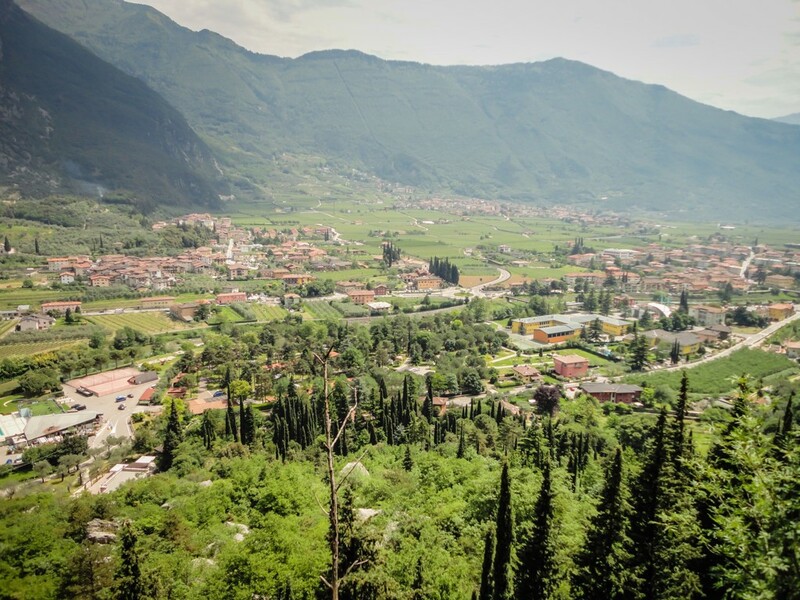 The Alpine school at Lake Garda offers many outdoor activities and adventures for the whole family!